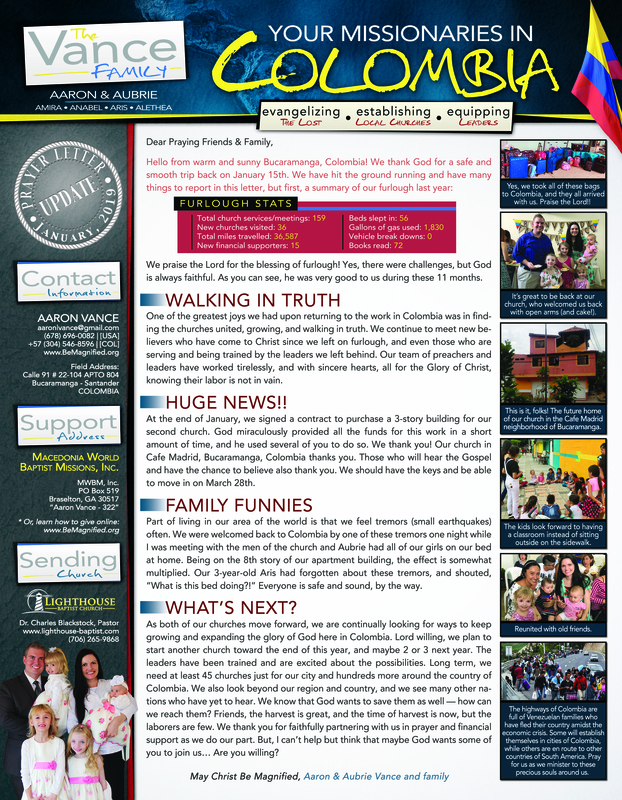 Posted on January 31, 2019, in Colombia, Family, Furlough, Praises, Prayer Letters, Prayer Requests and tagged Baptist, Bucaramanga, Church, Colombia, El Faro Bucaramanga, Missionary, Missions, Prayer, South America, Travel. Bookmark the permalink. Leave a comment.